This weekend saw our first double outing at Altrincham Market, and we were lucky enough to enjoy the space of a double stall on Saturday, which came in very handy considering that we had brought the kitchen sink! Double duty this past weekend – Saturday at West Kirby Farmers’ Market, and Sunday at the first Wilmslow & Alderley Edge Food and Drink Festival. We also introduced our new “Valencia” patisserie, available for the first time at West Kirby Farmers’ Market – Dark chocolate mousse, orange jam, toasted almond creme brûlée on a Breton shortbread. From the comments on the day and afterwards, they were certainly a hit and will have to return again very soon! 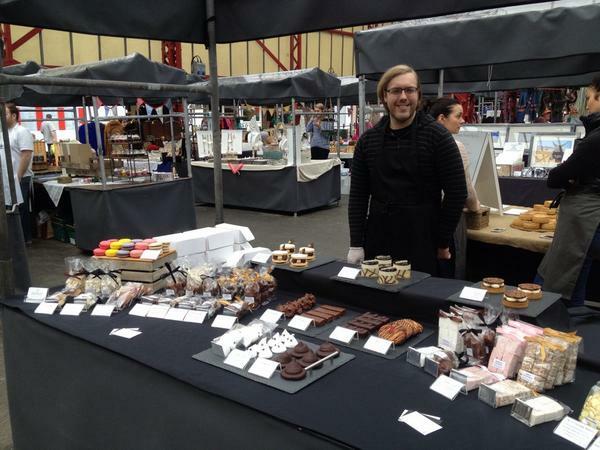 Enjoyed a refreshingly cool (and a little damp) day yesterday at Altrincham Market, especially with the new additions of our macarons, macaroons and marshmallows! We will be back for our second outing at Altrincham Market this Sunday (10/08/14). If you’re not a regular at Alty market, pop down for something different. The weather forecast is a bit grim but don’t worry as it’s all under cover in the market hall and there will be live music to keep you entertained while you hide from the British “summer”. Thank you for the very warm welcome we received at Altrincham Market this Sunday. The response was fantastic, and we hope everyone enjoyed their treats! 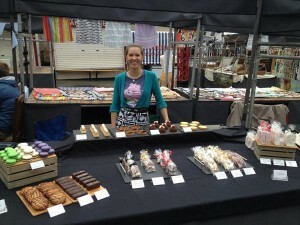 We’re very pleased to announce that we will be making our début at Altrincham Market this Sunday! The market runs every Sunday, with the theme changing each week. This weekend’s theme is “Farmers, Producers and Makers Market”, and it should be a fantastic line up. 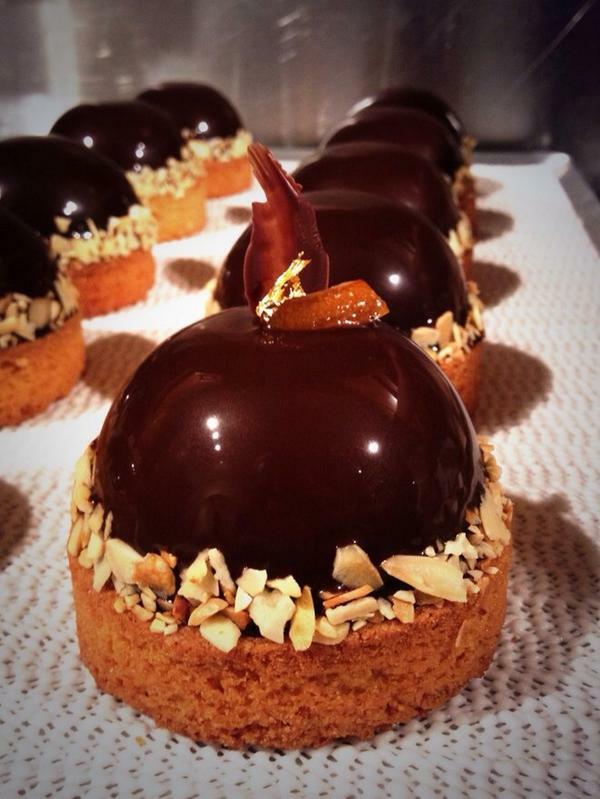 We’ll be bringing a wide range of patisserie, chocolates and confections, all hand-made in our kitchen. Along with boxes and bags for take away, we’ll be armed with plates, forks and napkins for those of you who can’t wait long enough to get back home!